Capstone Season is upon us and there are 50 Mechanical Engineering teams showcasing their projects at the Expo on the 24th of April at the McCamish Pavilion! The Capstone Design course is generously supported by numerous corporate partners and alumni. This weekly article series will highlight a few select sponsors, their projects and the student teams working on their projects. This week’s spotlight sponsor is HanesBrands Inc., the world’s largest marketer of basic apparel like socks, underwear, bras. 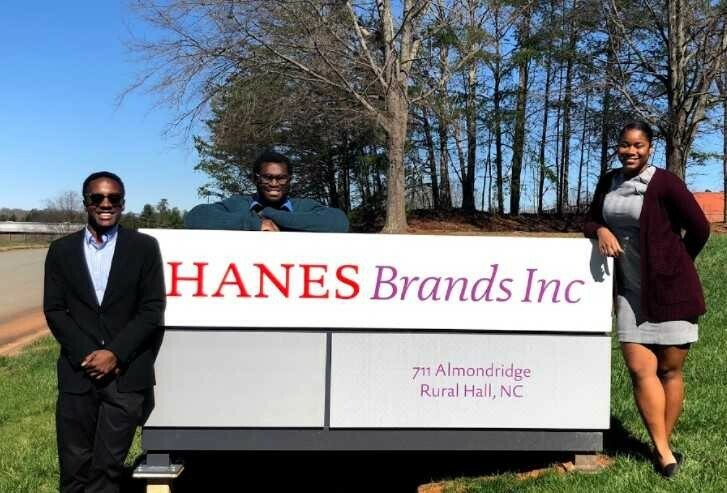 Founded in Winston-Salem, North Carolina, in 1901, HanesBrands is known for its environmentally green buildings, the community work they have done in Honduras and other parts of Central America, and inventing the sports bra. 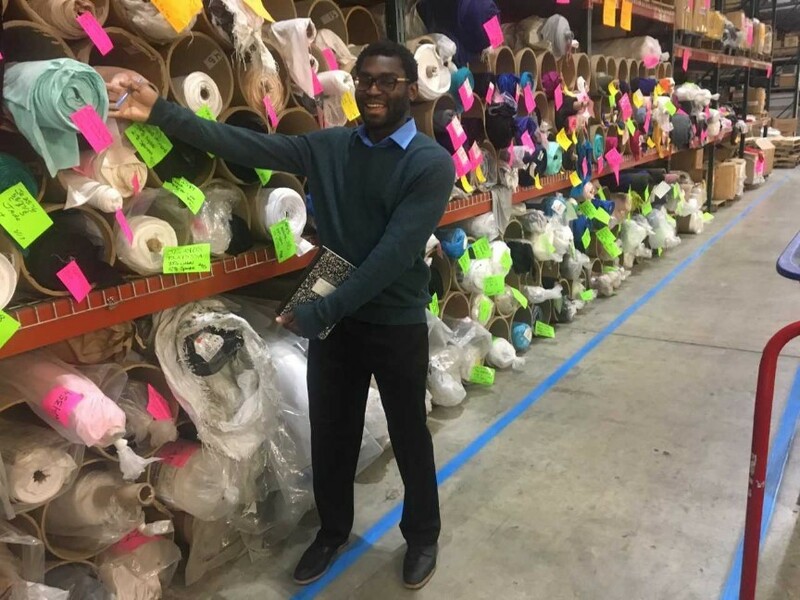 Over 90% of the apparel that is sold in the United States and internationally are made in HanesBrands or dedicated contractor facilities. Hanes, unlike most clothing companies, primarily owns all their own manufacturing facilities as well as almost 30 companies, domestic and international. While HanesBrands deals a lot with Industrial systems and processes, their R&D department utilizes engineers from many disciplines. HanesBrands is constantly innovating and striving for the cutting edge design. Improvements in current designs and new designs all together require employing mechanical, electrical, and thermal systems as well as material sciences. Spring 2018 is the first semester for Hanes as a corporate sponsor for Capstone design and they are supporting 3 exciting design projects with a team on each one, all from Mechanical Engineering. Problem: HanesBrands would like to explore using 3D printing to either enhance their current garment function or manufacture whole garments. HanesBrands also wants whatever is created using 3D printing to provide a functional element for wearers.The new 3D printing technique will need to be compatible with nylon/spandex fibers. Project Impact: According to the Wall Street Journal, the body shapewear market had over $750 million in annual sales by 2008. Team ‘Get Waisted’ hopes that their project will show that 3D printing garments is a viable option for the future. About 15% of the fabric used for manufacturing clothes ends up as scrap waste that is thrown away. Reports from the Environmental Protection Agency state that 15.1 million tons of textile waste were generated in 2013 alone. Analysis by the team suggests that 3D printing garments could significantly reduce the amount of waste that goes into clothing production and eventually cut labor costs. Proposed Solution: The team is designing a process to realize customized 3D printed body shaping apparel for women to use under their everyday clothing. They have conducted 3D scans of test subjects to develop an initial design space. The team has evaluated a few 3D printable engineering materials for their suitability for the application. They are utilizing 3D printers from the on-campus makerspaces to test materials and print their early stage prototypes. They are currently working on the evaluation of various creative mesh patterns that will provide adequate strength and stretch while being comfortable for the end user. Problem: Almost every woman has felt the pain of the underwire in their bra either breaking or poking through. The student team is working with HanesBrands to explore novel underwire technology that will not break or poke through and,will maintain the support provided by metal underwires. The design challenge is to develop an alternative underwire solution that is flexible, light, strong, and comfortable for both sports and everyday bras. Project Impact: Over $16 billion dollars are spent on bras worldwide annually. Approximately 85% of Western women wear bras regularly, and according to a survey conducted by an underwire supplier, approximately 70% of women who wear bras wear steel underwire bras. End users post numerous online blogs, threads, and articles complaining of the underwire in bras breaking and poking women. There are pages dedicated to what women can do to fix this issue. Creating a bra that fixes the problem of underwire breaking and poking through will improve everyday comfort of women across the world. Proposed Solution: Team ‘Braject’ has cast and molded standard underwire for testing. They are analyzing this data to utilize it as a benchmark for the new material they decide to use. They are currently evaluating candidate materials and plan to perform tests to validate the suitability of the material. The new underwire material will need to be comparable to the metal underwire that is currently used. Problem: HanesBrands wants to incorporate ideas into their current product offerings that would relieve shoulder and neck pain. For this project, Team ‘Florey’ is designing a shirt that will include therapeutic relief into a comfortable, low-cost, and aesthetically pleasing shirt. Project Impact: According to the Center for Disease Control, the National Health Interview Survey indicates that 15% of American adults routinely experience neck pain. Hot and cold pads, massages, and medication are often used to alleviate neck and shoulder pain. Creating a shirt with therapeutic properties could help alleviate neck and shoulder pain. Team ‘Florey’ is currently targeting athletes as their primary customer, but the shirt could be marketed to the public as a solution to alleviate neck and shoulder pain. Proposed Solution: Team ‘Florey’ is exploring the use of cell phone vibrators as a means to provide gentle massage in their therapeutic shirt design. They are currently exploring novel heating and cooling systems augment the massage routine. Currently in the early stages of coming up with a prototype, the team is hard at work in places on campus like the Invention Studio, brainstorming, coming up with possible designs and CAD drawings, designing circuits to test and put fresh ideas into motion. We express our special thanks to Mr. Keith Zimmerman, Technical Research Manager from Hanesbrands, Inc for providing this real-world opportunity to our students. He took the initiative to invite the teams to take a tour of the facilities and interact with the engineers. The student teams visited the facilities and echoed how these innovative projects confirm their interest in ME and how MEs are a crucial need in such unexpected industries. Check out these 3 and 200 other exciting capstone design teams at the Spring 2018 Capstone Design Expo on 24th April at 4:30pm in the McCamish Pavilion. More information on how to RSVP is on the website here: http://expo.gatech.edu/. Please invite friends and family to attend and cheer for our graduating seniors! 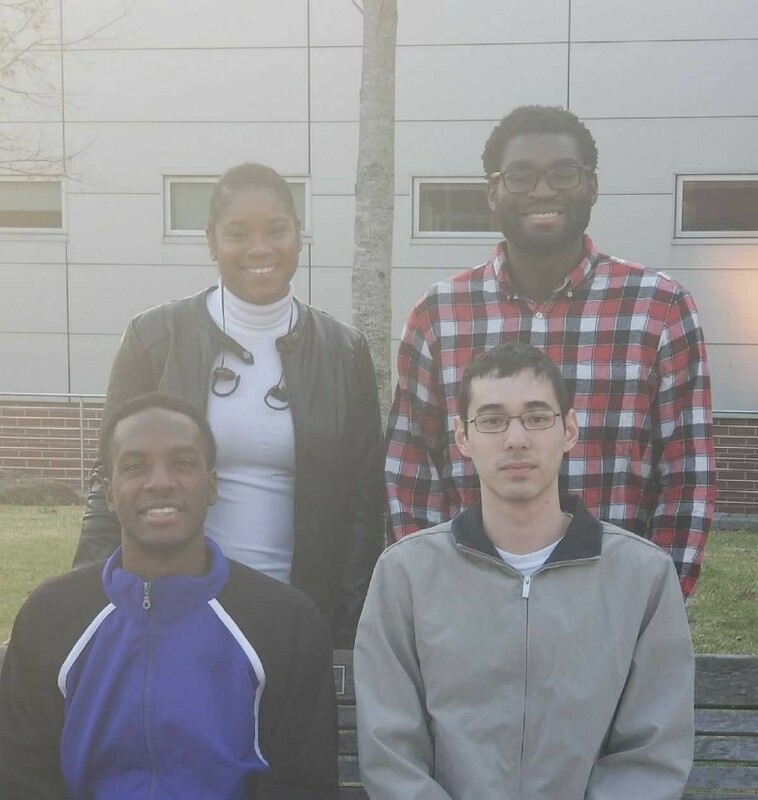 All senior students in Mechanical Engineering culminate their undergraduate educational experience with the Senior Capstone Design course in order to provide firsthand experience at solving real world problems in a team environment. Students typically work in teams of four to six individuals and each team is advised by a faculty member. Companies interested in submitting a project for consideration can contact Dr. Amit S. Jariwala, at 404-894-3931 or via email at: amit.jariwala@gatech.edu.